Join Magellan for an unforgettable summer cruise round Britian cruise from Greenock. Spend a day in Belfast learning about the city’s long and complex history and exploring the Titanic Quarter, and another in Dublin wandering Grafton and O’Connell Streets and Temple Bar, visiting Trinity College and ‘soaking up the culture’ in the city’s pubs and bars. Discover astonishing island scenery and tiny, perfect ports on Orkney, the Isle of Mull and Guernsey, and the heather-clad glens of the Highlands as Magellan anchors in the great natural harbour of Invergordon. After a call in Portsmouth, Magellan will cross the Channel and cruise up the Seine to Rouen. 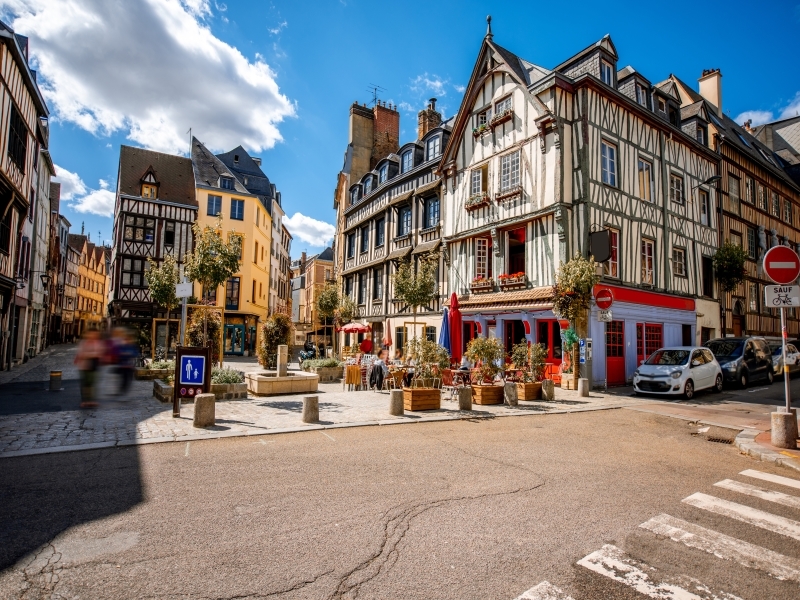 Stroll along narrow streets past half-timbered houses, see the magnificent Cathédrale Notre-Dame, and climb the belfry of the Gros Horloge to enjoy wonderful views. Magellan will spend the night here before retracing her route down the Seine and back around the UK to Liverpool.